There is a growing cohort of nature buffs joining "survivalist" movements in France seeking reduced reliance on authorities should disaster strike. When the end comes, ex-army signaller Daniel will calmly fire up the generator, flip on the water purifier, gather eggs from his chickens and watch in serene self-sufficiency as society tears itself apart. “I’m preparing myself for risks, floods, earthquakes, avalanches or social breakdown,” said the 60-something father, hunter and self-styled survivor from the French Alps. Daniel, who has been prepping for the worst since leaving the military 20 years ago, is one of a growing cohort of nature buffs joining “survivalist” movements seeking reduced reliance on authorities should disaster strike. 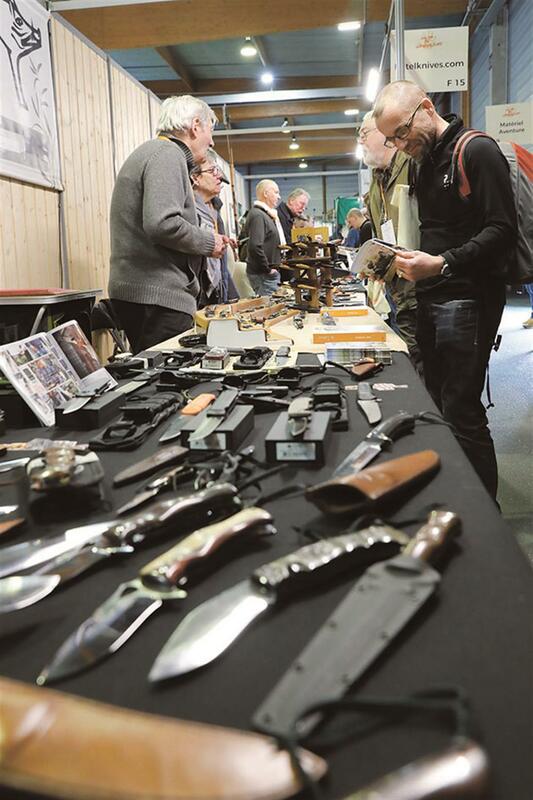 “Throughout society we are dependent on infrastructure and supply chains that are fragile and can be destabilized by things we can predict,” said Clement Champault, organizer of France’s first Survival Expo, which runs last weekend in Paris. “We’re not talking about a zombie apocalypse — aliens aren’t going to land — we’re talking about real risks: natural disasters, sabotage, attacks and even financial and economic crises,” he said. 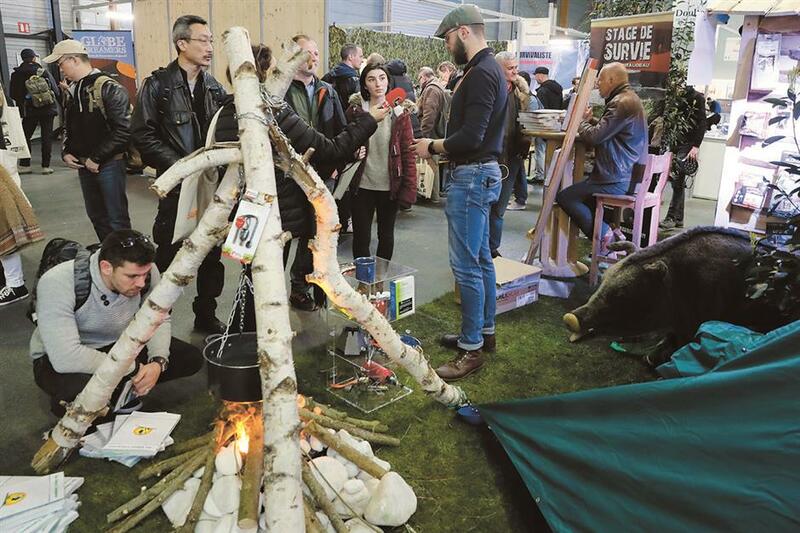 People visit a survival training stand at the first Survival Expo in Paris. Inside the expo, men in khakis and cargo pants peruse rows of steel-framed gazebos displaying animal traps, food rations, solar panels and, hazmat suits and radiation detectors. The survivalist movement grew in 1960s America from the fear of nuclear war or Soviet invasion, according to Bertrand Vidal, sociology professor at Paul Valery University, Montpellier. “Today these people don’t necessarily identify with an existential threat. It can be a mixture of fears that punctuate their daily lives,” he said. Initiates believe their concerns are borne out by the high number of extreme weather events in recent years. In France, where a string of terror attacks since 2015 has left hundreds dead, there is a growing lack of faith among some in the state’s ability to keep people safe. “If I told you 10 years ago there’d be all these people killed on the streets of Paris, you’d have said I’m crazy,” said Laurent Berrafato, publisher of “Survival” magazine. Aside from survival wares, the expo has stalls with names like “Ground Force” and “YShoot” flogging a variety of unpleasant-looking self-defense implements. Tasers, bulletproof vests, axes, throwing stars and knives — lots of knives — are all openly on sale. The branding is unashamedly macho, but movement members insist their version of survivalism is a far cry from the US stereotype of a trigger-happy recluse stashed in his gun-filled bunker. Unlike similar US shows, there’s not a firearm on display in Paris. “These images of Americans armed to the teeth are problematic. But if there’s a rupture and people no longer respect the law, average citizens are obliged to protect themselves,” said Daniel, who admits to owning a pistol and a shotgun, both legally registered. Survivalists also known as “preppers” believe it’s important to be prepared for major disasters, whether environmental, financial, nuclear or political. The survivalist movement has another image problem: Its origins are intertwined with the American far-right from which it sprang, and sociologist Vidal says there are still members who identify with the xenophobic worldview of its founders. But many survivalists — most prefer the term “preppers” — simply want an easier, greener existence. “We’re looking for greater freedom. We’re preparing for normal life, not some catastrophe or the end of the world,” said Marie Guillanmin, 30, from near Lyon. The past 12 months saw a barrage of storms batter the Caribbean and US eastern seaboard, leaving thousands of homes without water or power. Preppers insist the risks from natural disaster can be reduced with a little common sense, training and scout-like readiness. And a knife or two wouldn’t hurt, either.